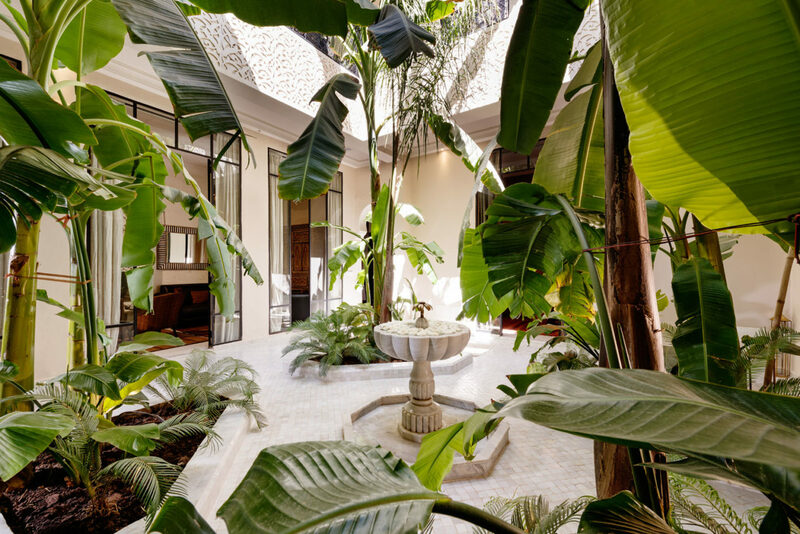 The Riad is a house built around a courtyard garden, introspective and intimate. 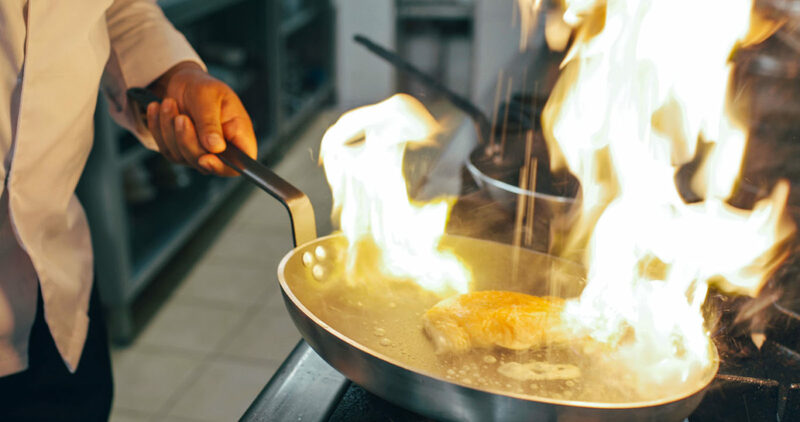 An escape from the busy streets, it offers a warm welcome to all who pass through the door. 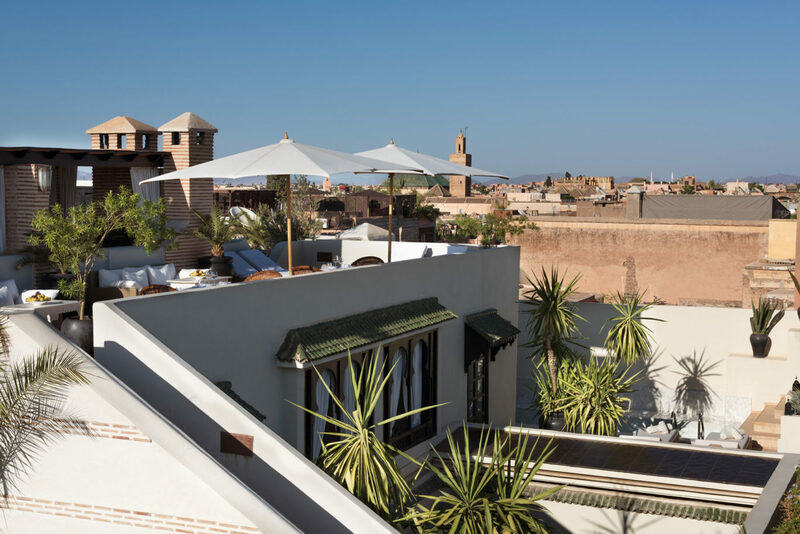 Riad Kheirredine fuses the patterns, colours and spirit of Morocco with contemporary Italian design. 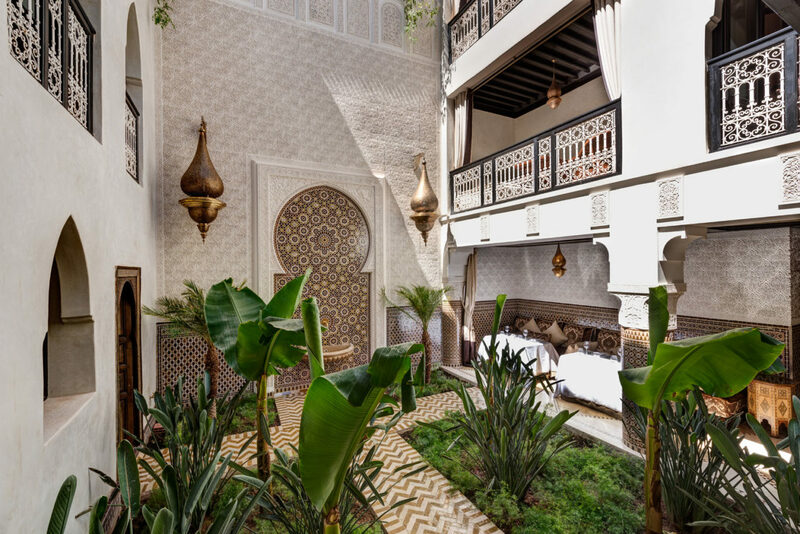 Perfectly balanced and intriguing in every corner, the Riad is calming to the soul and delights all those who stay there. 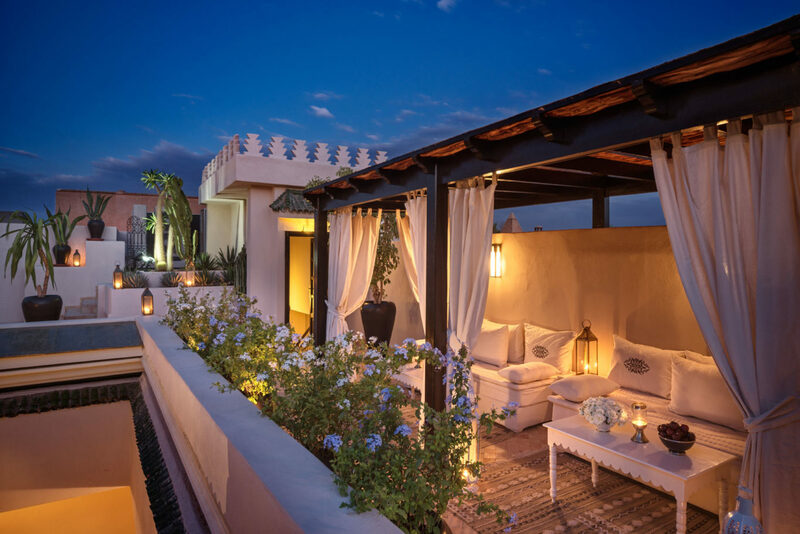 The word Riad is from the Arabic word meaning “gardens”, and the garden patio is the heart of Riad Kheirredine. The patio is a lush and verdant space, with towering plants and the gentle sound of water from a fountain at the centre. The blue sky is mirrored in the waters of the pool, the air fragrant and cool in the Moroccan heat. The patio is a space to meet, to stop and to enjoy. 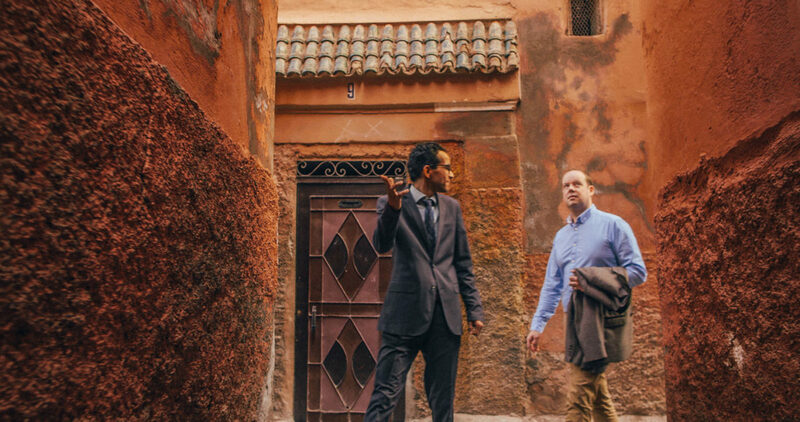 Explore Riad Kheirredine and find your corner. 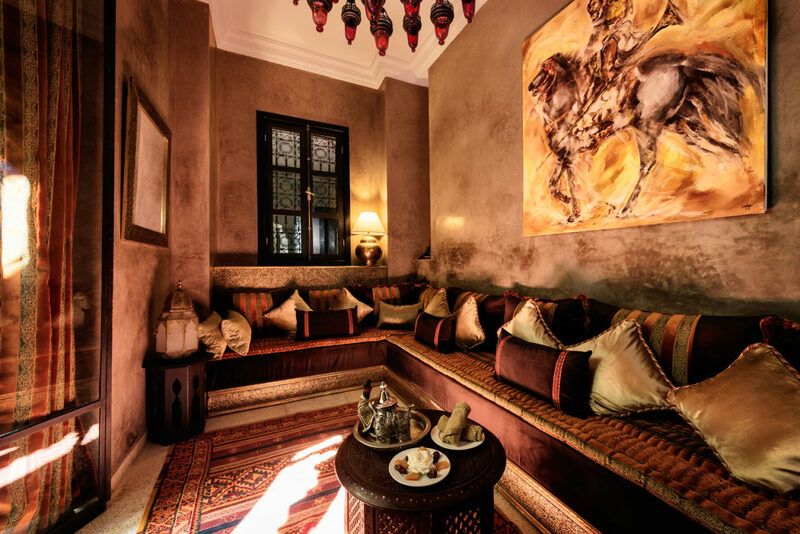 Take tea in one of the spectacular courtyard lounges, with high ceilings and Moroccan stucco, or take a book to the sofas by the pool. 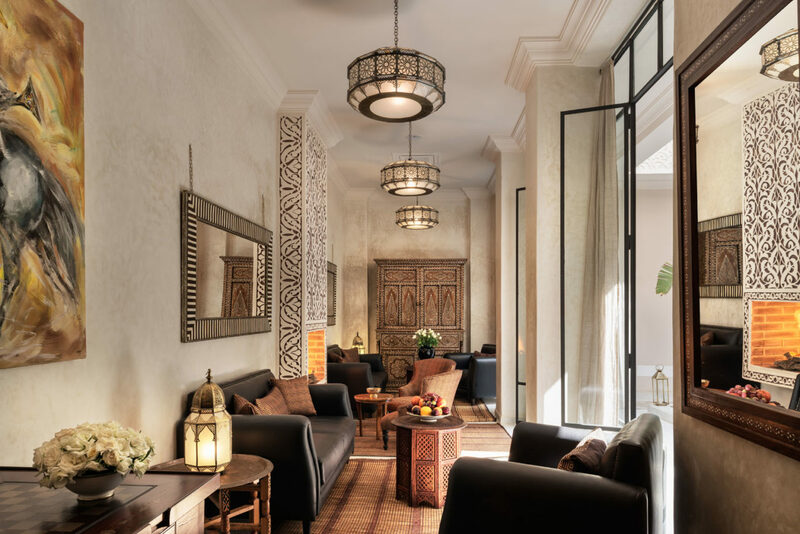 The Riad is your home during your unforgettable stay. Whether you are making new acquaintances, or seeking solitude, you are sure to find a space as unique as you are. Watch city life unfurl below from the spectacular terrace. 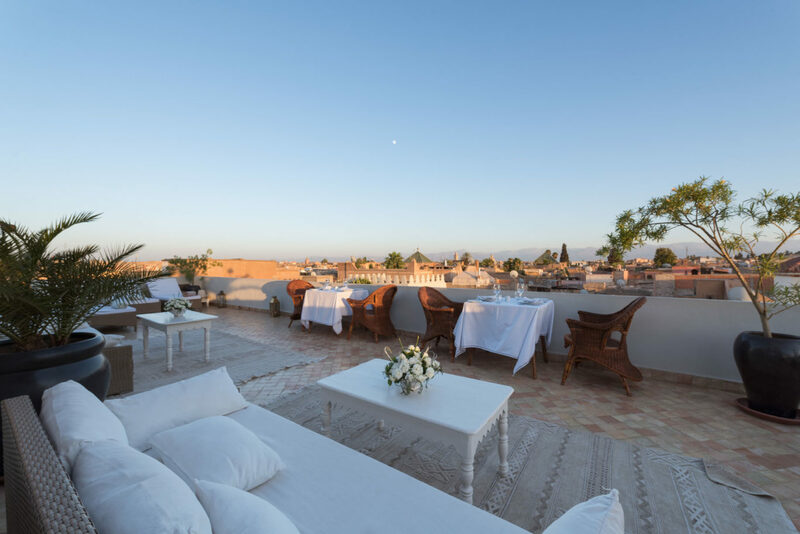 Sip tea or enjoy dinner looking over the rooftops and palm trees to the Atlas Mountains, where snow reigns over the African continent. Sofas and tables make this an ideal place to take tea, enjoy dinner under the stars.